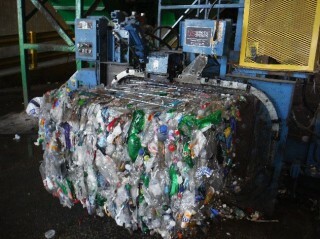 Madison County, NY is considering the development of a waste plastics-to-oil facility that would be capable of processing a wide range of plastics and scrap tires. The New York Department of Environmental Conservation (DEC) has committed to assist the County to identify feedstock for this facility, and to understand the economics of sourcing this feedstock. MSW Consultants has been retained by the DEC to analyze the sources, quantities and availability of waste plastics and scrap tires within a 100 mile radius of Madison County, NY. Working as a subcontractor to DEC's on-call engineer, MSW Consultants developed a methodology to (1) compile waste disposal data and estimate the fraction of waste plastics based on available Local Solid Waste Management Plans and waste characterization studies; (2) perform a detailed economic analysis on the cost to densify and transport plastics, (3) identified disposal costs to determine economically competitive price points for a waste plastics-to-oil facility tipping fee, and (4) identified and organized direct research in to likely generators of waste plastics and scrap tires within the target area.